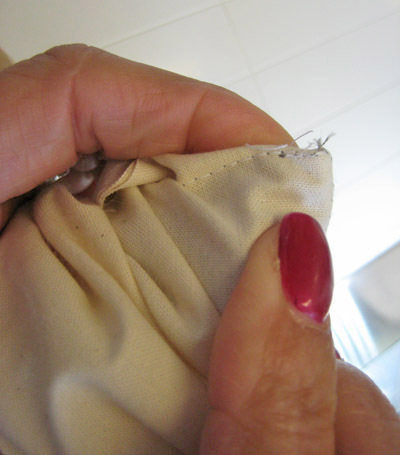 For a nice, crisp corner on your collars, pillows, or facings, try this method borrowed from the ready-to-wear industry. 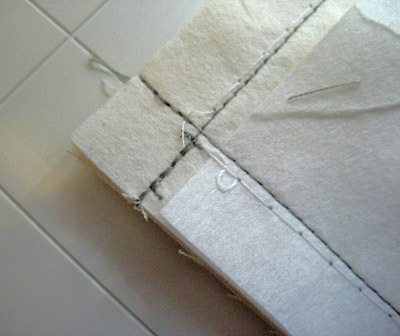 First, stitch your corners so that the seams cross; stitching all the way to the raw edges. Don’t try to pivot the corner or turn and stitch a diagonal stitch. 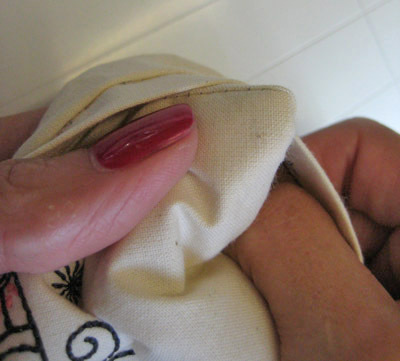 Bring your thumb inside the stitched corner. 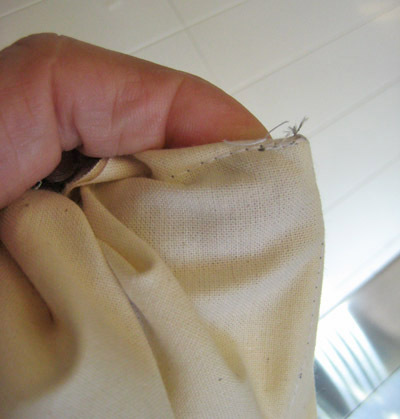 Fold back one seam along the stitching line and hold with your index finger. 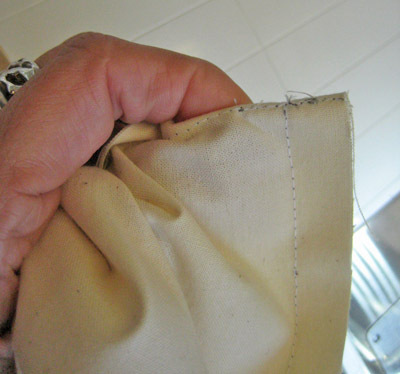 Fold back the other seam along the other stitching line, again holding the seam in place with your index finger. 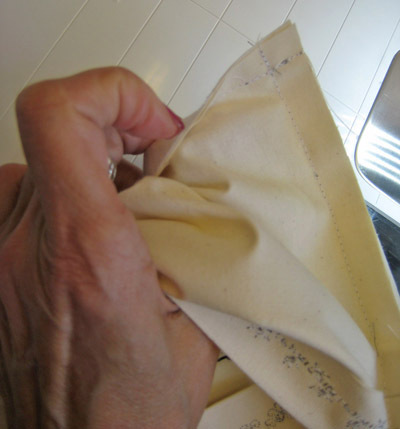 Use your other hand to prepare to turn the project right side out by bringing it inside the stitched corner. Use your index finger to push out the corner. 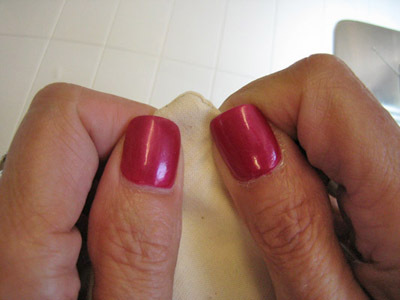 Place both hands at the corner and work the corner into a square. A simple no-brainer that is new to me… I will start using this technique. Thanks, Debbi!